It can be handy to know how to crop images into different sizes and proportions so that they can be used for a variety of different purposes. 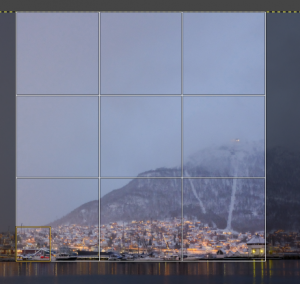 The GIMP has a powerful cropping tool which can be used to crop images into squares for example to use on Instagram. 1. Start by selecting the cropping tool in the toolbox. Current layer only: this crops only the active layer, not the whole image including all layers. 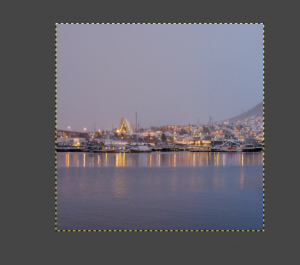 Allow growing: this allows you to crop outside the boundaries of the current image canvas, for example if you want to crop a square shape out of a rectangle and need to add white space on the sides. If you select this option you can choose what you want to fill the new space with, transparency, white, background color etc. Expand from center: this adjusts how the crop tool behaves, I personally do not find this useful and prefer to not check this. 3. Below these options are the crop settings themselves. The dimensions are measured in pixels (px) by default but this can be changed. 4. It can also be useful to turn on some guidelines to help you crop just right. I often use the “Rule of thirds” setting. 5. 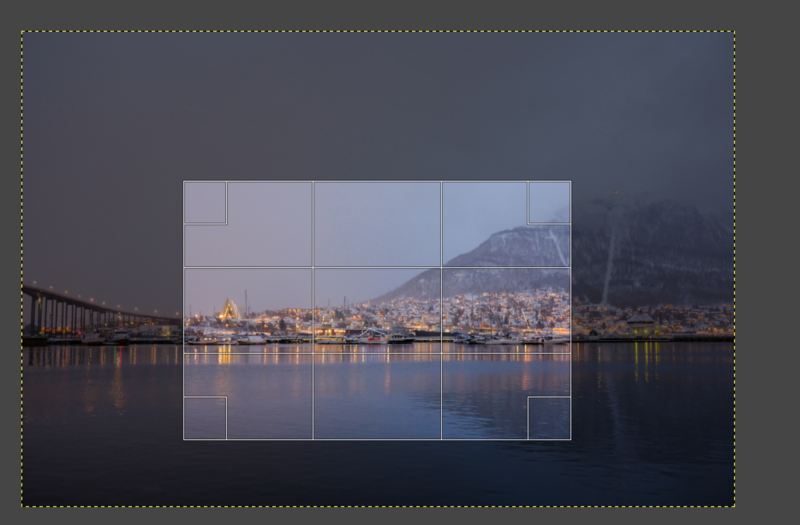 Once you have set the correct aspect ratio or size, click anywhere on the image to start selecting your crop. 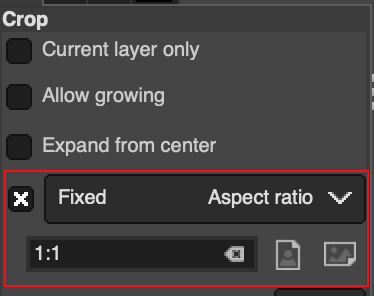 Drag the crop box out from any of the corners or long or short edges to make it larger, or drag it in to make it smaller. Hover over the corner or edge until it becomes highlighted in yellow and then drag. 6. If you need to reposition the crop box, simply place your mouse inside the middle of the crop box, click and hold, and then drag the box to another position. 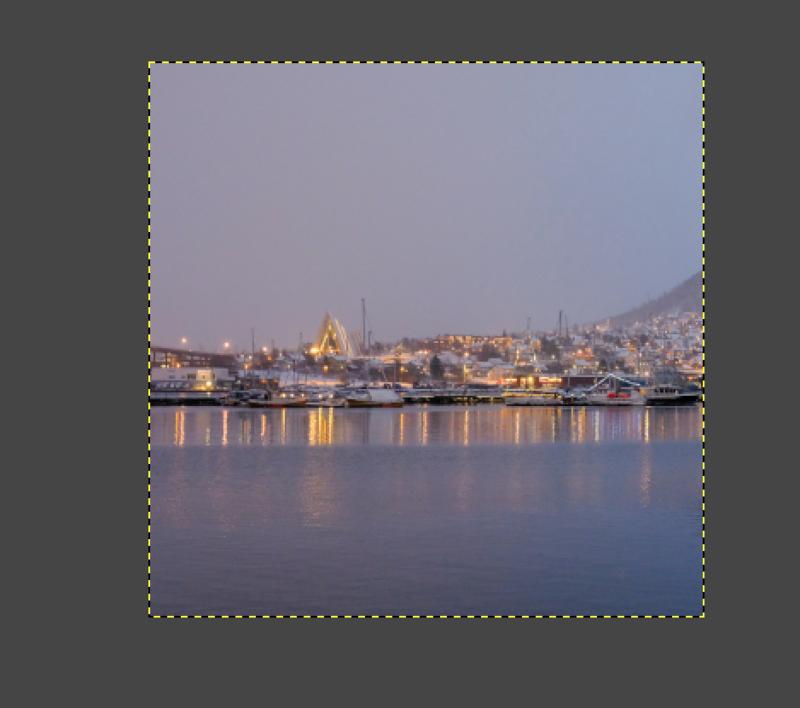 The position of the crop box in the image, this can be helpful if the image is very large or if you are zoomed in. 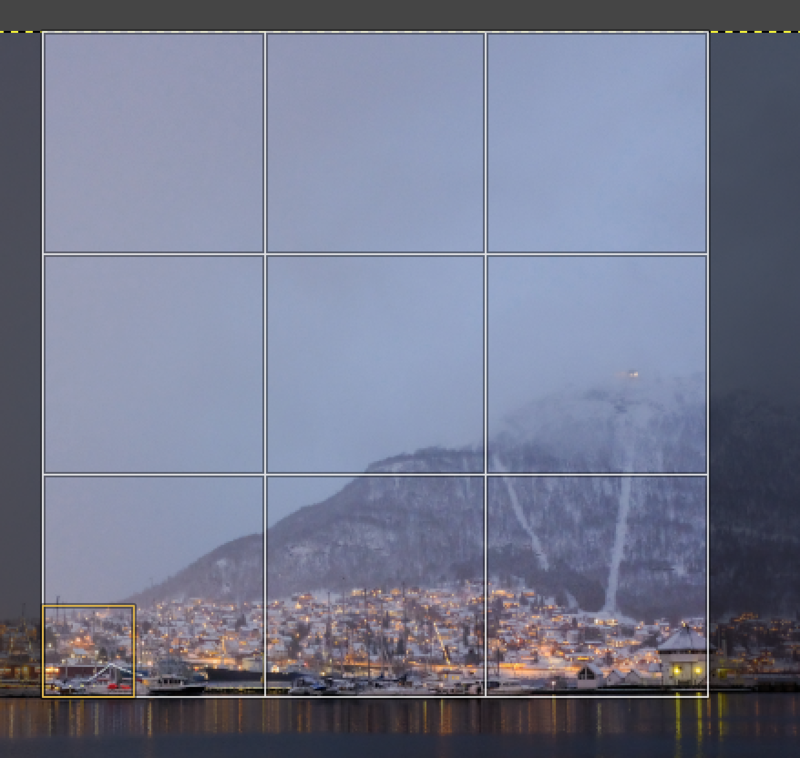 The size of the crop box, this is handy if you need to be careful not to crop below a certain minimum size. 8. 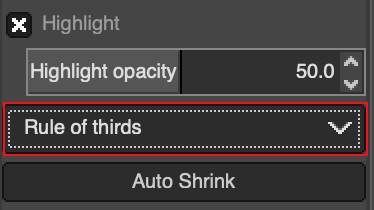 Once you are happy with your crop, double-click inside the crop box to make your crop!